Any day with new material from Cliterati is a good day! Their latest split, this time with the impregnable Violation Wound is an absolute blast of a listen. It's exciting, over the top and endlessly potent. There are rare times that you find a punk record that is this self aware but also this angry. Yet with this album the two bands seem to perfectly understand what they stand for and what punk rock can be. Smart and avoiding a lot of the cringier cliches of the genres modern wave, this is what political punk fans have been looking for. Cliterati are leading the charge on this one with five tracks that deliver the selfsame angry queer feminist punk rock that has made the band so consistently fascinating. The driving power of vocalist Ami Lawless is a sound to behold. She guides her hard grooving rioters into a place of pure punk rock violence and once you get going it's impossible to turn your head away. Meanwhile, Violation Wound come out swinging with their track Victimizer. Their five song offering to the album sees Autopsy's Chris Reifert guiding his band of madmen across demented vistas and reveling in the unholy murk of their brand of DIY mayhem. You can see the mosh pits opening up for both sides of this split. This is the kind of punk split I enjoy, in large part because the sides don't mimic each other as much as they compliment each other. 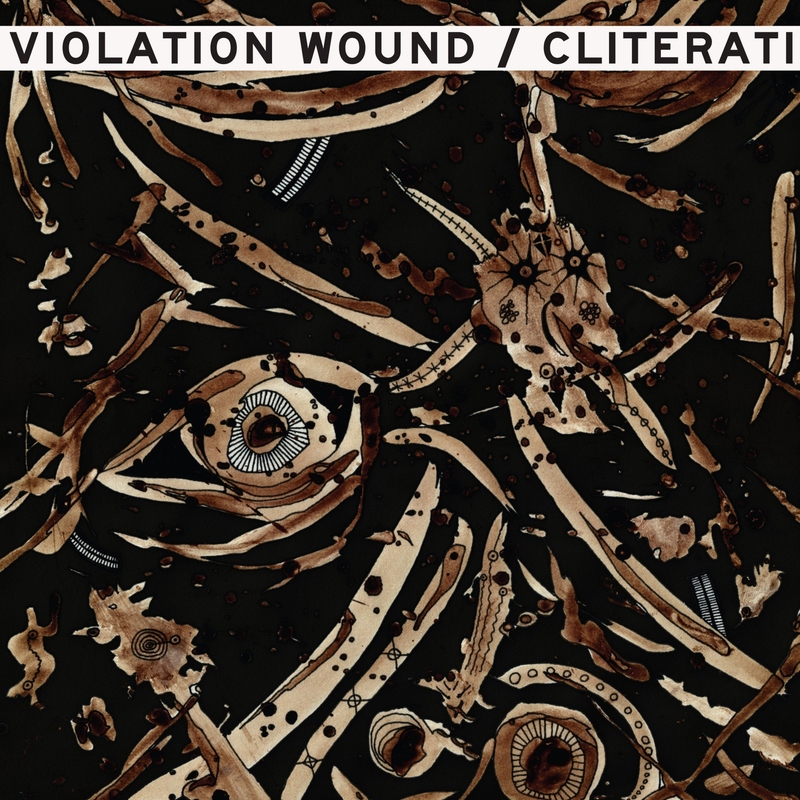 There is a chaotic and maddening power here, the blazing might of a track like the 25 second long Worthless Figurehead, one of my favorites from Violation Wound, that speaks to how insane this album is at its best. Cliterati are embracing new heights, and it's exciting to see Violation Wound still cracking skulls five years in, what more could you want?